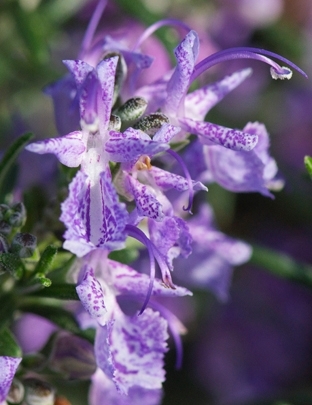 A dainty plant for a x intermedia with masses of mid-purple flowers. Widely grown for oil before the introduction of higher-yielding cultivars. Next available early June. 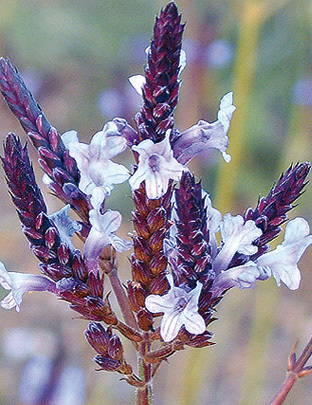 This selection is typical of the angustifolia species. 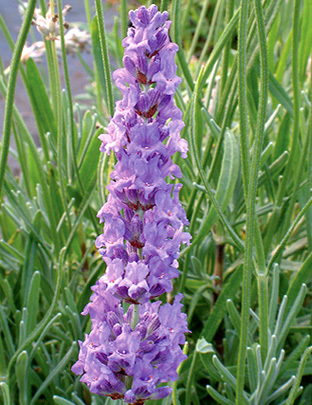 A bushy plant with mid-purple flowers and less uniformity of flowering than named cultivars. Next available late May. 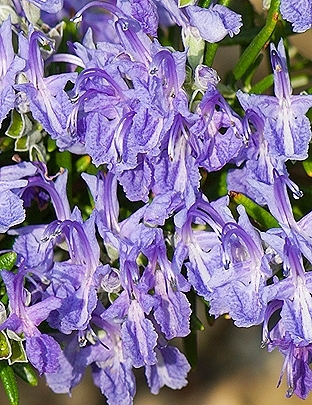 A colour break for rosemary with purple flowers rather than the usual blue and an upright and bushy habit. Bred and introduced by Downderry Nursery in 2016. Available now. 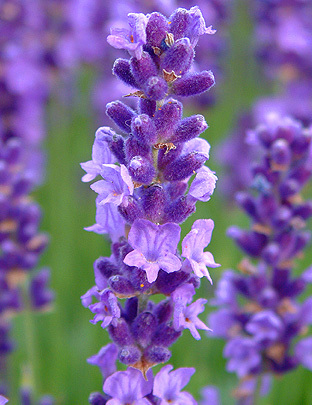 A splendid, vigorous lavender with stout stems and superb blue-purple flowers. Perfect as a hedge or specimen plant. Excellent for cutting for drying in bunches. Next available early May. Great. 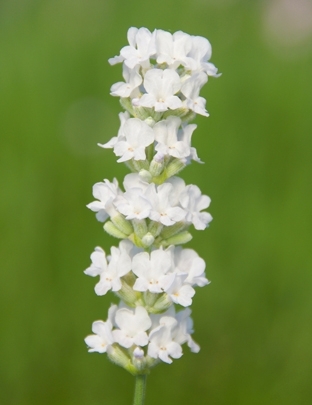 Whiter than white with green-grey foliage. UK selection and introduction. Next available late May. 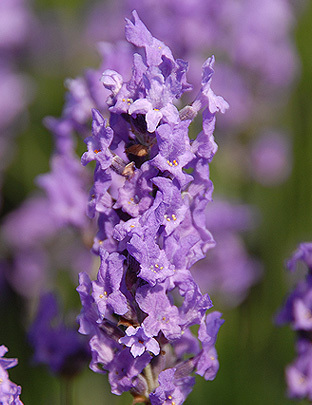 A simply marvellous, very bushy pale purple flowered lavender from a magical garden in Winnie-the-Pooh country. Ideal for a low hedge. Next available early June. 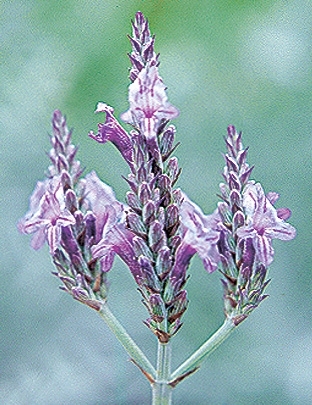 The earliest named dark purple cultivar first introduced in 1888. 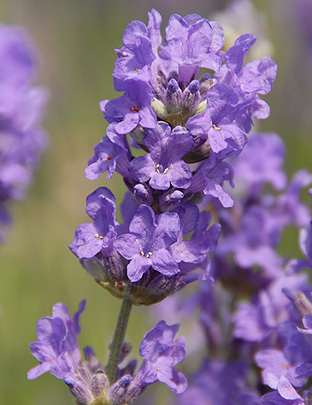 A good scent for a dark flowered lavender. Green-grey foliage. Next available late June. A wonderful delicately coloured cross, with purple flowerheads and white ‘ears’ that colour to pink and purple with age. Available now. 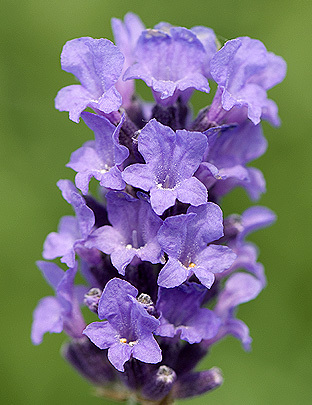 A stunning vibrant purple lavender with very uniform flowering and stiff erect stems that do not splay. Next available late May. 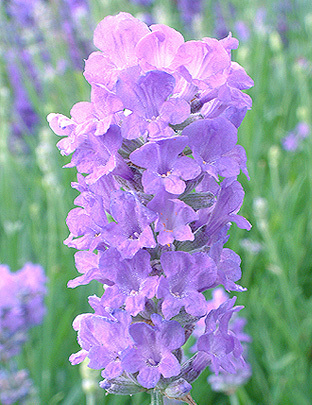 A gorgeous, ghostly lavender with the palest blue flower and calyx we’ve ever seen. Complements the darker cultivars. Next available late June. 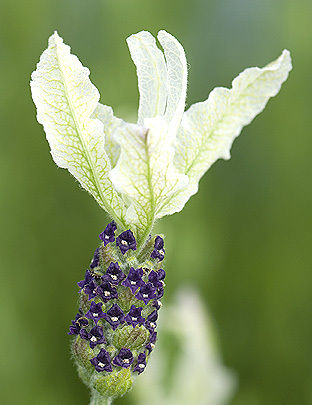 Amazingly long rich purple flower heads above beautiful silver foliage. Great architectural plant. Next available early June. 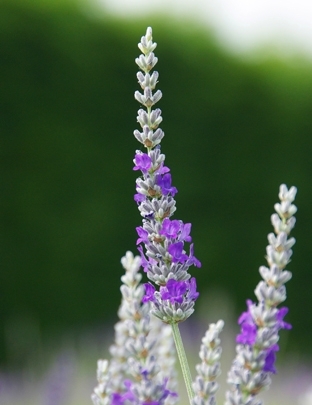 A gorgeous silver-leaved lavender with blue-purple flowers. Next available early June. 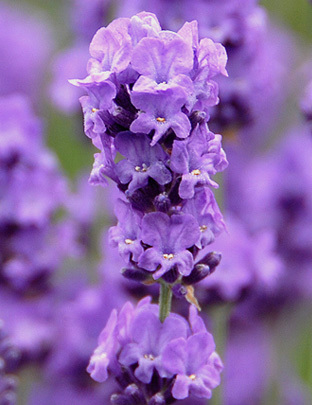 A breathtakingly beautiful lavender. 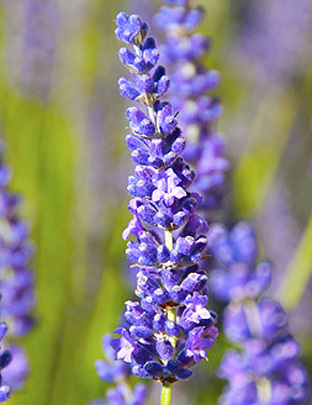 The intense blue flowers above fresh green foliage are an astonishing sight in summer. Next available mid-May. A real cracker with vibrant green foliage and bright blue flowers. Introduced from Scotland. Next available mid-May. 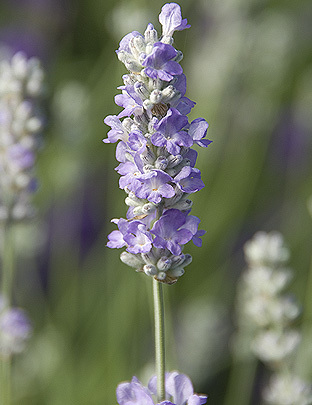 A handsome, pale flowered lavender, slightly taller than ‘Ashdown Forest’. Dense green-grey foliage. Strongly scented flowers. Available now. Very similar to (and we think better than) ‘Munstead’, with larger steely-purple flowers and distinctly-shaped grey foliage. Leaves seem to clasp the stems. Next available late May.